Tile and Grout Cleaning Eastern Suburbs? Turn your ways to Fresh Tile Cleaning. Our professional tile and grout cleaning team is known for offering the best services for tile restorations, and tile repair. Our cleaning team can also deliver same day and emergency tile and grout e. Call now for the free quotes!!! Do your dirty tiles and broken grouts make you feel disgusted every time you cross them or walk over them? Are you tired of cleaning the tiles and the grout yourself, and yet they are not returning back to their usual color? Well, you don’t have to worry about such situations anymore, as Fresh Tile Cleaning in Eastern Suburbs is at your service. Fresh Tile Cleaning is based in Eastern Suburbs and has handled severe cases of dirty tiles and broken grouts. With our expertise and experience, we have sealed the grouts properly and cleaned the tiles in the best way. Fresh Tile Cleaning helps you re-colour the grout lining, which often fades with time and gives a messy appearance to the tiles. In fact, colouring the grout lining provides a sealing as well. This way the grout lasts for a longer period of time. This process is best for areas like the kitchen floor, bathroom floor, floors of your walk-in-closet etc. So, when in the need of Grout Colour Sealing look no further than us. You all must have observed two types of problems which occurs with tiles and grouts inside your house. First is, accumulation of the dust on the tiles and second is the discolouration of the grout lines or appearance of cracks in the grout lines. The second case may lead to loosening of tiles making it look weird. The grip with which the tiles are held together often loses up as well. Got done with the chipped, loose, cracked and discoloured tiles? Get your tiles repaired by hiring the experts in Eastern Suburbs. In case the tiles of your floors, walls, bathroom, stairs or pools have damaged, we can restore them to new if you have some tiles left with after their installation. 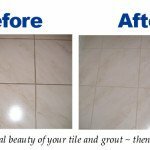 Fresh Tile Cleaning professionals in Eastern Suburbs are highly experienced and deliver you the best results by repairing broken/cracked tiles. Epoxy grouting is one of the best ways to repel stains, grime and contaminants from your tile grouts. The groups are made up of highly porous materials that attract soil, impurities and pollutants and make look the entire tile surface ugly. That is when epoxy grouting come to your rescue. The professionals of Fresh Tile Cleaning in Eastern Suburbs offer amazing services for epoxy grouting and regrouting. Another best technique to restore your grouts is grout colour sealing. 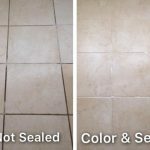 In this technique, our experts in Eastern Suburbs seal your grout lines using a high-quality colour sealer that will last longer. This process involves the application of epoxy based colour sealant to seal the grout lines. This epoxy-based sealant is used to make sure your grout stays safe from future staining. Also, with the use of epoxy grout colourant, you can stay at the peace of mind from the fear of chipped, peeling and cracking grouts. We also offer stone and Tile Stone Polishing Services in Eastern Suburbs. We use very high-power diamond disc machines to give your stones and tiles reflective finish. The advanced technology used by these machines removes scratches and marks from the floors that are not possible to see with the naked human eye. Polished floors have small pores, which means fewer chances of dirt and grime accumulation. You may not consider kitchen tile cleaning as a difficult task, but the fact is you may need still need professional help for the thorough and complete tile cleaning. Grease, oils, airborne particles and grime gets accumulated on the tiles of the kitchen. The cleaning solutions you use at home are not sufficient for removing tough greasy stains from your tiles, that is when you need professionals tile cleaners in Eastern Suburbs for the perfect cleaning. We cover whole Eastern Suburbs! 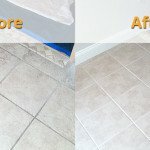 What makes our Fresh Tile Cleaning services why to choose use unparalleled and unmatchable in entire Eastern Suburbs is the special technique we use while the cleaning process. Tiles and grout are common features of our floorings and walls of homes and offices. They add beauty, shine and luxury to our interior decor. Tile steam cleaning is a modern and advanced method to deep clean the tiles and removes the dirt and germs. We at Fresh Tile Cleaning will provide our customers with all kinds of Tile Steam Cleaning Services. We use heavy industrial steam cleaners that can deliver better cleaning results. We will deliver our Tile and Grout Steam Cleaning Service anywhere in Eastern Suburbs within a day. Hire Fresh Tile Cleaning for the best and effective tile and grout steam cleaning service today. Our list of customers includes many elite individuals of Eastern Suburbs who belong to various fields. They trust us and our work. Get in touch with us to know more about our tile and grout cleaning Eastern Suburbs.